This is a very special group of improvisers: Amsterdam’s finest! 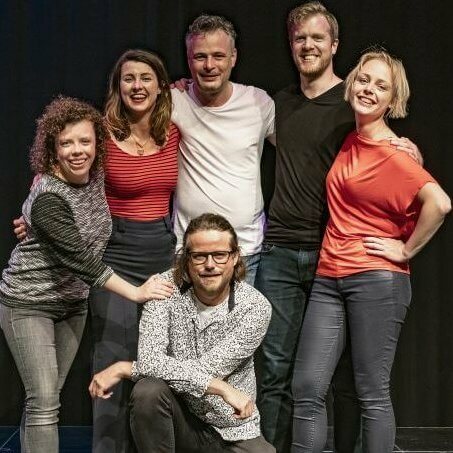 Laura Doorneweerd, Kiki Hohnen, Nora McLeese, Jochem Meijer, Roemer Lievaart & Mathijs van Wingerden bravely took the stage during the audition show and fought for their rightful place in the main cast of IMPRO Amsterdam 2019. Seldom has an impro show had such high stakes.